We have provided engineering review and design services to a number of municipalities. It is our passion to be at the leading edge of transportation firms in the greater Lehigh Valley. Our staff of highly trained civil engineers and surveyors have many years of experience. We performe surveys to support our engineering projects and our clients directly. We have developed a reputation for competency, professionalism, and integrity. We're focused on the core elements of the design to ensure both approval and constructability. Practiced as a civil engineering project manager in Eastern Pennsylvania since 2003. Currently the Vice President of Engineering and Municipal Services and a Project Manager for Benchmark Civil Engineering Services, Inc, in Allentown, PA. Engineering responsibilities included managing all phases of land development projects from conceptual through design, permitting, and construction. Serve as Municipal Engineer for townships/municipalities where Benchmark is the appointed municipal engineering firm. Also worked as the resident site engineer/construction manager for infrastructure improvement projects that include land development, stormwater management, rail sidings, bridge construction, and road rehabilitation. Assist the traffic department in design and coordinating all municipal and infrastructure improvement projects. Continuing forensic engineering work in civil and transportation engineering, accident reconstruction, drainage, land development, construction accidents, premises liability, and contracts. Managed all phases of commercial, industrial, and residential land development projects. Duties included client coordination and development, marketing, management, engineering design, environmental regulation, permitting, and construction observation and coordination. Responsible for obtaining waivers, variances, and final approval from government boards including planning commissions and municipal governing boards. Presented proposals and plans for development before all regulating and government agencies. Coordinate efforts of subcontractors and suppliers as needed for project completion. Serve as Benchmark’s engineering representative in public meetings, zoning hearings, and in matters in litigation. Served as municipal engineer for Upper Milford Township and currently appointed municipal engineer and general projects engineer for North Whitehall Township in Lehigh County, Pennsylvania. Coordinate staff in executing all needed municipal engineering work including land development and project review, applicant coordination and sit as Benchmark’s professional engineer in providing professional advice to the Planning Commission and Board of Supervisors. Provided investigation, prepare reports, and testified in related engineering matters that are in litigation. Areas of expertise included accident reconstruction, highway design, and maintenance, traffic safety, design construction operation, and maintenance of streets, highways, intersections, parking lots, work zones, sewer and water facilities, soil erosion, and public utilities. Additional responsibilities include premises liability, zoning, and municipal governing boards. Assistant County Attorney – Practice included government law, construction law, utilities law, contract preparation and negotiation, eminent domain, claims, and dispute resolution. Prepared and reviewed all construction contracts for the county. On-going construction budget was approximately 50 million per year. Provided technical and legal advice to the engineering, construction, utilities, and facilities departments on all construction related issues. Reviewed and approved construction bids and advised on professional services selections and contracts. Responsible for resolving construction claims, preferably through negotiation and dispute resolution, but also in litigation where necessary. Advised administration and various county boards on legal matters related to planning development and construction. Represented the County in on-going environmental litigation in the Tampa Bay Area (Water Wars). Vice-President/Senior Engineer: Crone Associates was a spin-off company of Wantman Associates. Started as a Project Engineer in the civil design group (1985) and advanced to Project Manager, Vice President, and Regional Manager. Responsibilities included being in charge of all Engineering office design and administration, including transportation, environmental, and water management systems. Responsible for the design team on major urban highways, transportation, and land development projects in South Florida. Prepared estimates, proposals (written and oral presentations), payment schedules, workload schedules, and overall management. Completed quality control on design projects and CEI work during the construction phases. Established regional office for E.C.E.A. Inc 224 Datura Street, Suite 1209, West Palm Beach, FL 33401, when Crone Associates sold (2004). In charge of all office engineering, administration, marketing, and management. Involved in all aspects of civil engineering design projects, and major environmental permitting projects. Prepared proposals, made presentations, and marketed for new public sector and private work. Responsible for client coordination and project development. In charge of invoicing and accounts receivable. Managed the design teams for major transportation, water and sewer projects, and environmental permitting projects. Inspections and as-built data as well as project management through completion. Engineer/Division Director: Responsible for all phases including design engineering, project management and eventually establishing and managing a transportation division in a medium/large civil engineering firm. Responsible for all phases of design and construction management. Managed Transportation design staff. Responsible for transportation, various land development projects, and civil engineering projects from conceptual through the construction phase. 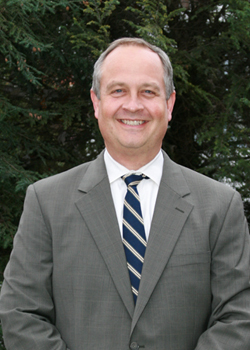 Bernard M. Telatovich, P.E., Esq. Professional Speaker providing continuing education seminars in the areas of Construction Engineering and Surveying, Accident Reconstruction, Safety, and Law for numerous professional associations on a national and local basis. A listing is available upon request. You want a civil engineering firm that will lead and guide you through the process of design, approval and construction. You want a team approach focused on the success of your project. You want professionals to make the process as smooth as possible. At Benchmark Civil Engineering, we can do all of that and more. Benchmark Civil Engineering Services, Inc is located in the city of Allentown PA, and proudly serves the entire surrounding Lehigh Valley, Pennsylvania, New York, New Jersey & Beyond.